Equipped with a new oxygen cell operating continuously for five years. The warranty period is also extended from two to three years. The gas detector is designed for personal protection when working in confined spaces. Also suitable as explosion meters in gas technology works as VIAG. The GasAlert Micro Clip X3 is the big brother of the XL version. He has the same extra-long battery life, rich with oxygen cell extended life. The first five years are, under normal use, replace any gauges. 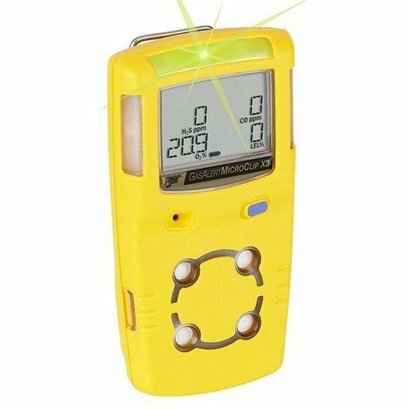 Oxygen lifetime 5 years Warranty period of 3 years IP68 waterproof performance Clear display of all the parameters All GasAlert Micro Clip are free calibrated on delivery. Delivery includes 230 VAC charger and a 3 year warranty. Upon receipt, the gasdecttor is directly suitable for use.